EWEB General Manager Frank Lawson (left) and Eugene Mayor Lucy Vinis (right) pose with a fiber network cable they joined as part of today's ceremony and announcement. 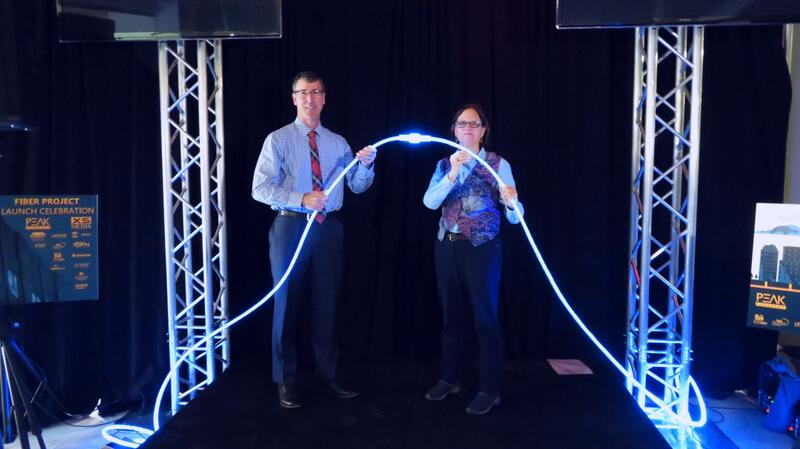 Eugene Mayor Lucy Vinis and EWEB’s General Manager, Frank Lawson, plugged in two halves of a fiber cable, which turned a bright, glowing blue. The ceremony – held in Eugene’s first high-rise, the Miner Building – was attended by city and utility officials, as well as regional internet companies. The Eugene City Council approved the plan last year. It will use EWEB’s existing electrical conduit system, alleviating construction costs. EWEB’s Frank Lawson says there are further benefits. 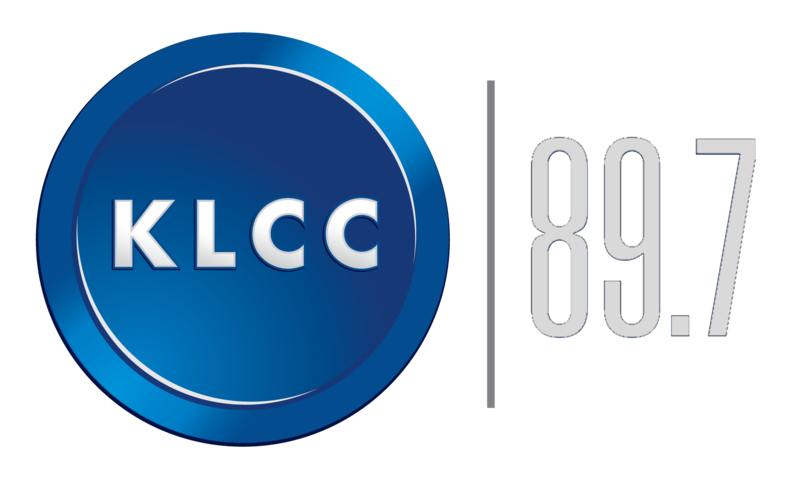 “Up to a hundred buildings roughly can be interconnected to an exchange which is located downtown," he tells KLCC. Attendees clap at the announcement of a high-speed internet system being installed across the downtown area. It’s hoped that a federal grant will cover most of the expense. EWEB, the City of Eugene, and the Lane Council of Governments will build the publicly-owned fiber network. A Technology Association of Oregon representative says completion will take 18 months.